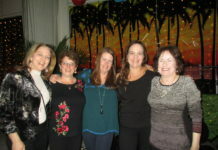 The Manhasset Chamber of Commerce hosted its annual Installation Luncheon at Plandome Country Club on Jan.16. 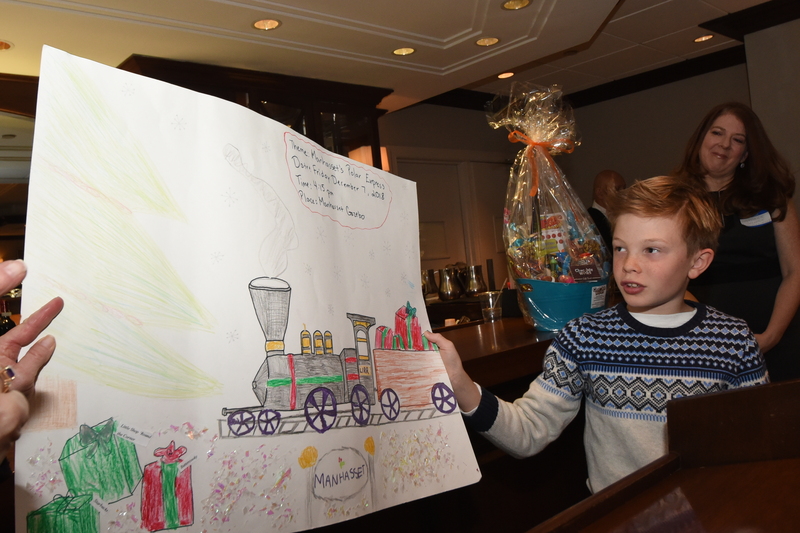 Speaking to a crowd of nearly 100 local Manhasset businessmen and government officials, the chairwoman of the poster contest, Nancy Morris, introduced Luke Falco, a fourth grader at Munsey Park Elementary School as the overall winner of the event. Falco who attended the event with his mother Sarah described his poster which depicted the Polar Express train at the Manhasset Tree Lighting which occurred on Dec.7. Falco received an enormous gift basket from Chocolate Works for his efforts. 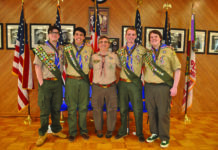 Also recognized for his long standing efforts with the poster contest was Paul Roditis a ninth grader from Manhasset High School. Roditis is a two time winner of the contest, but comes back annually to help vote on poster contest entries. Roditis received a gift certificate for his service from Morris.